Portable and lightweight, this oven is travel friendly! 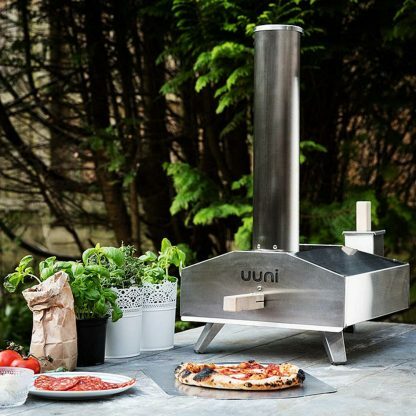 Make sure you are all set for cooking outdoors with this Uuni 3 Pizza Oven, Cover Bag and Pellets Set. This set is perfect for use in the garden and for outdoors parties. 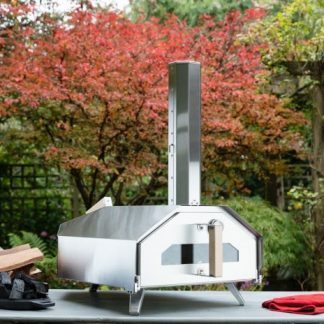 Uuni 3 is designed specifically to take the cost, bulk and hassle out of wood-fired cooking. Uuni 3 is the world’s most portable wood-fired oven, weighing less than 13kg. Reaching temperatures of 500C in just 10 minutes, Uuni 3 will cook a true wood-fired, stone-baked Neapolitan pizza in just 60 seconds. 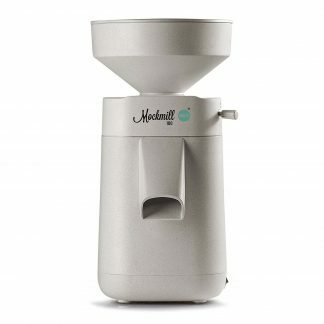 It can also be used to cook flat breads, salmon, vegetables, steaks or any other food that requires a short cooking time. This set comes with a simple bag designed to help you easily transport your Uuni Pizza Oven and cook wherever you like. The handles make it easy to carry and the durable nylon material will protect it from the elements. An Uuni Pizza Peel is also included and has been designed to work perfectly with your Uuni 3. 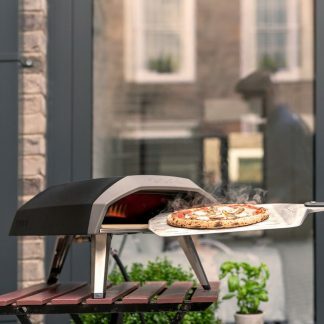 Create your pizza on the peel then slide your creations into the pizza oven. The set also includes a 3kg bag of official Uuni Premium Wood Pellets. The pellets light easily, burn efficiently and produce very little ash waste. Fuel type: wood pellets. Compatible gas burner sold separately. – Weight: 13.4 kg / 29.5 lbs. boxed. – Size: 22x36x64 cm / 8.6 x 14.1 x 25.2″ (HxWxL) with legs extended, excluding door handle. Height of Uuni 3 including chimney: 67cm / 25.2”. – Stone baking board size: 33.7 x 33.7 cm / 13.2 x 13.2″. – Max pizza size: 13”. – Max clearance above stone: 11 cm / 4.3”. – Power: approx. 6 kWh. – Materials: 430 stainless steel, stainless steel rivets, FSC certified wooden handles, cordierite stone baking board. – Uuni 3 is compatible with the forthcoming Gas Burner.